Uriah Hall fought his heart out like a warrior on UFC 175 even with a dislocated 2nd toe joint. 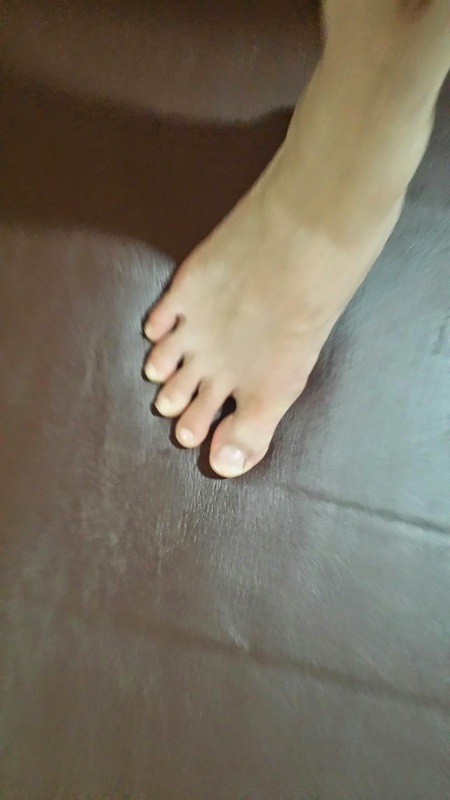 Just from analyzing the photo attached, it looks like the toe was dislocated at the proximal interphalangeal joint of the second toe. Biomechanically it looks like the bunion & the tailor's bunion did not seem to help Mr Hall in his fight. It looks like the second toe is taking way too much force as the bunion joint is not moving or supporting the spin secondary to the alignment from the bunion. When a fighter throws a roundhouse kick or a spinning kick there is a lot of circular force going through the support leg and toes. Typically the toes will fan out to act as disc brakes and help to control the fighter's momentum and balance. This is where the bunion joint is stuck and the second toe takes way too much lateral force as the person is spinning. Treatment for an exposed bone in any situation would be treated as if the patient has osteomyelitis, it is assumed a bone infection. Whenever a bone is exposed to air or touches an object it also assumed infected. Most likely treatment in this case will be 6 weeks of intravenous antibiotics, surgical flushing and closure of the second toe with possible pinning, his career will not be in jeopardy for this warrior. He will not be fighting or training anytime soon at least within the next 6 weeks with this kind of injury. I certainly hope he will read my blog about minimally invasive bunionectiomies and get that taken care of during this medical leave. Disclaimer: I am NOT Uriah Hall's Doctor, just speaking as an avid ufc fan and spectator looking at this photo of the injury. In the above pictures you you see the tremendous force being placed on the 2nd toe naturally during a kick and in this photo of my foot, my big toe joint is working. 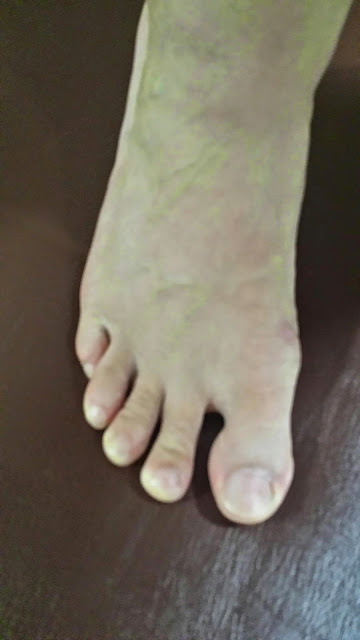 Imagine that force on the second toe by itself. Video below shows the lateral force that the toes undergo while doing a kick.